Daylight saving ends this weekend but let’s not down tools and hibernate. There are plenty of holidays this month when we can indulge in the joys of Autumn gardening and prepare our gardens for Winter and Spring displays. Head into your local Go Gardening Store. 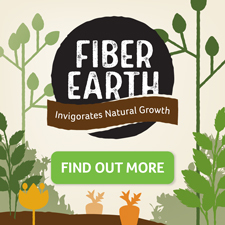 There you'll find the plants and products featured in this newsletter and Go Gardening magazine. 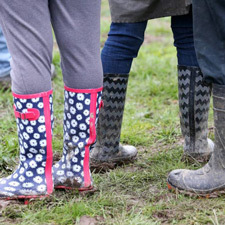 Gardening New Zealand garden centres are supporting Gumboot Friday and encouraging their customers to do the same by donating to the I Am Hope fundraiser for counselling for youth. It’s planting time for spring flowering bulbs. Plant some in pots to brighten early spring. Keep potted bulbs in a cool place until shoots appear. Sown in autumn, poppies flower from early spring. 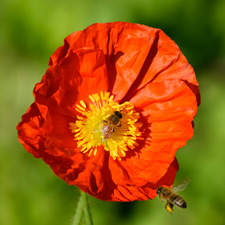 Among the earliest to flower, silky Iceland poppies come in citrus shades and are perfect for picking. 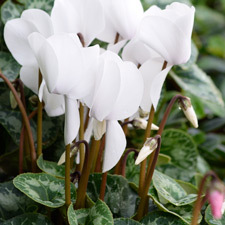 Long flowering cyclamen are an excellent choice for autumn and winter colour in pots or well-drained garden borders. Choose crisp white or striking shades of pink and red. 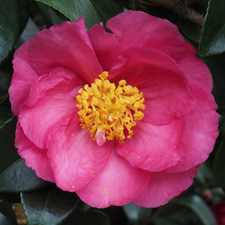 Camellias start flowering in autumn and continue through winter and spring. 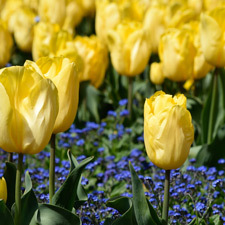 Plant a range of varieties for a continuous supply of cool season flowers. 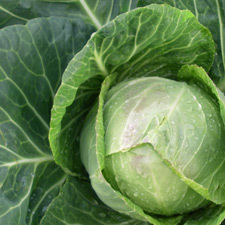 Sow a late season crop of rocket and in warmer climates plant cabbage, kale and broccoli. Lettuces will grow well in autumn’s warm soil and cooler air. 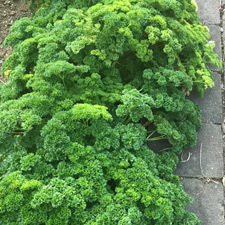 Establish new parsley plants in autumn to ensure a plentiful supply of parsley throughout winter. It’s also a good time to plant other herbs such as chives, mint, thyme, oregano and rosemary. 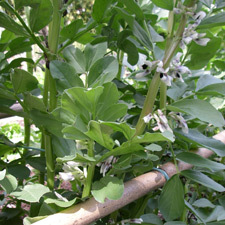 Sown directly into warm autumn soil, broad beans will be ready to eat early spring. Install supports and stakes at planting time to avoid damaging the roots later on. 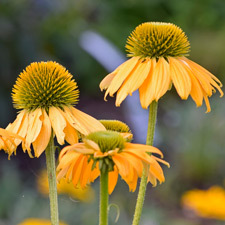 Cut back summer flowering perennials when the flowers fade. And create new plants by lifting, dividing and replanting clump-forming perennials. 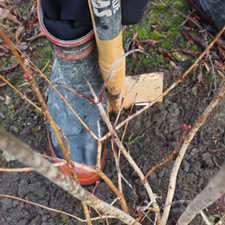 Autumn is a good time to transplant shrubs and small trees that need moving to a new place in the garden. It's easy to do by following some simple steps. 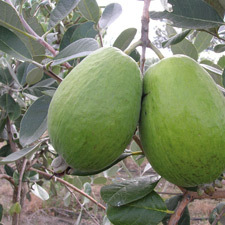 Feijoas are ready for harvest when they fall from the trees. Planting a range of varieties is a great way to extend your harvest season. 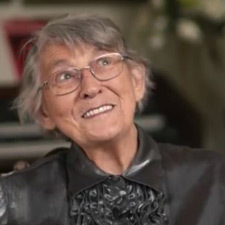 Ninety-year-old Avis Leeson has a special plea for gardeners, to help her continue her incredible work introducing school children to gardening. Myrtle rust is continuing to spread with most cases in Bay of Plenty and Taranaki. 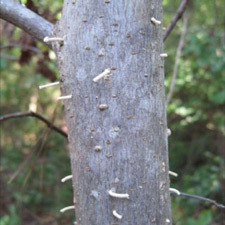 Councils, nursery owners and the public are on high alert for the disease. 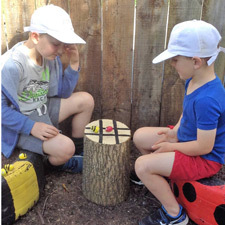 Biosecurity New Zealand is asking the public to report any sign of a new pest, the wood-boring granulate ambrosia beetle. Celebrate Earth Day 2019 ‘Protect Our Species’, with an autumn planting bee. 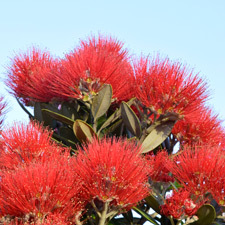 Trees and shrubs thrive when planted at this time of year, and a diversity of trees will support birds and insects. 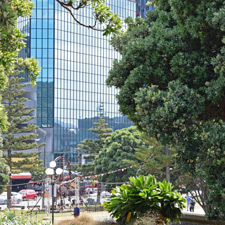 New Zealanders enjoy plentiful green spaces and trees in their neighbourhood but as housing density increases, these spaces decline. 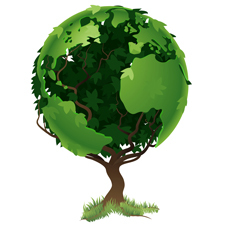 Planting trees provides many health benefits. Never Miss A Story - has your email address changed? Please let us know at office@nzppi.co.nz. To keep up to date with the latest advice, guides and news be sure to like us on Facebook, and subscribe to Go Gardening magazine, or read it online at PressReader. At under $25 it’s the perfect gift for anyone who loves gardening.